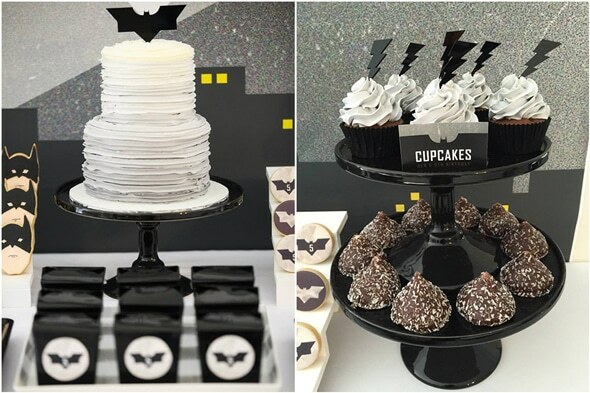 If you’re looking to create enough prettiness to please the girls, while keeping things dark enough to excite the dads, this Modern Batman Birthday Party is perfect! 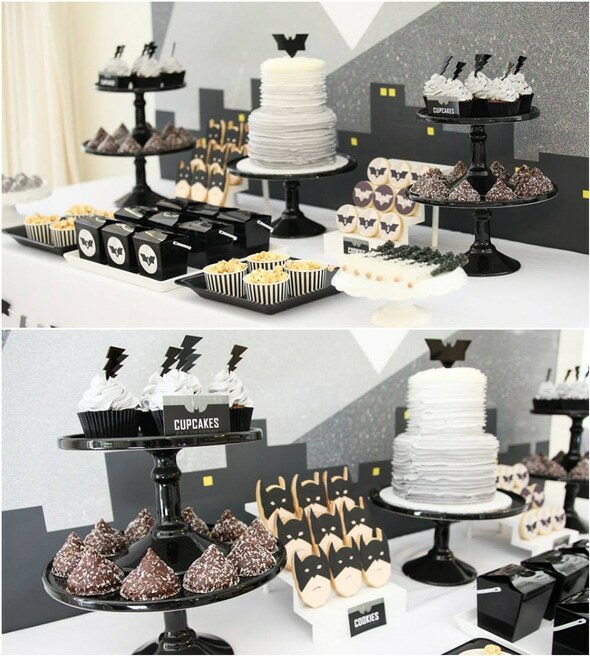 We love this modern batman theme that features a fun personalized dessert table backdrop! 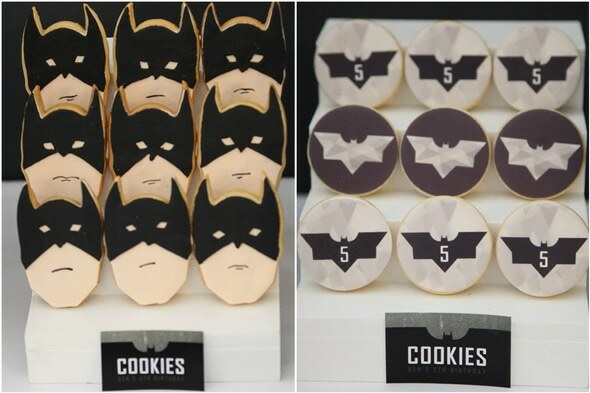 And we can’t forget about the awesome batman-themed cookies! 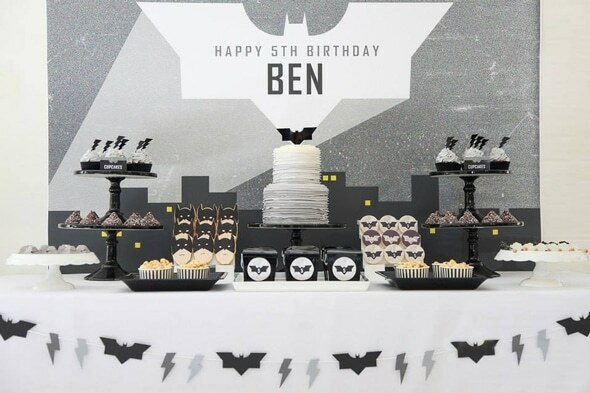 This batman dessert table has everything you need to celebrate a special fifth birthday! From cookies to candy and cupcakes to cake, no one is leaving this party without some delicious desserts! 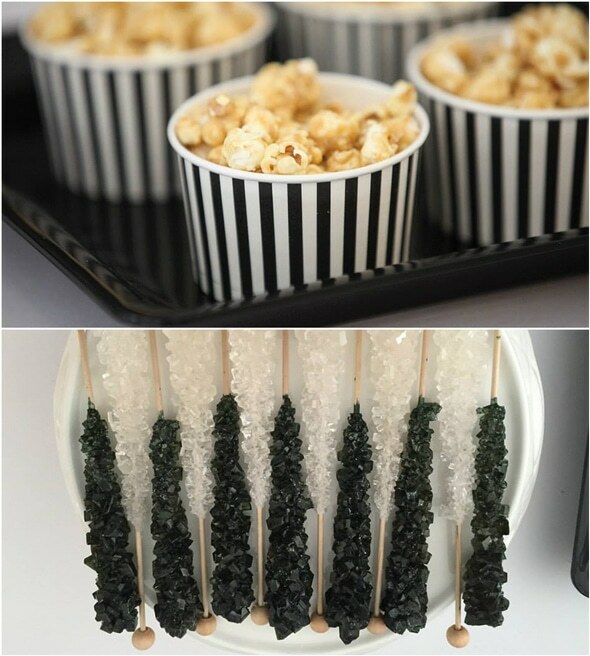 Sugar Coated Mama created the simple style for this birthday party. It was exactly what a little 5-year-old boy would love! 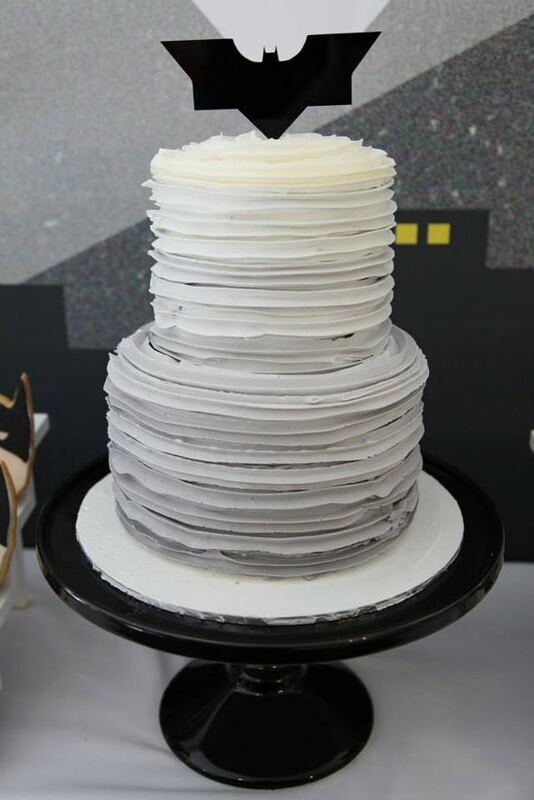 The monochrome palette was perfect for a modern touch, with a sprinkle of geometric fun! 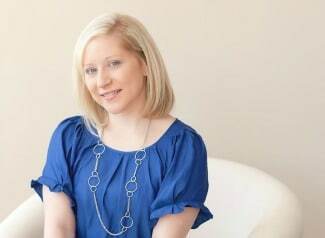 Style Me Gorgeous did an amazing job with the design of the backdrop and printables! What an amazing ombre cake by A La Roch! Cupcakes, edible image cookies and handmade chocolates with Oreos bites and a silver leaf were also provided by A La Roch. 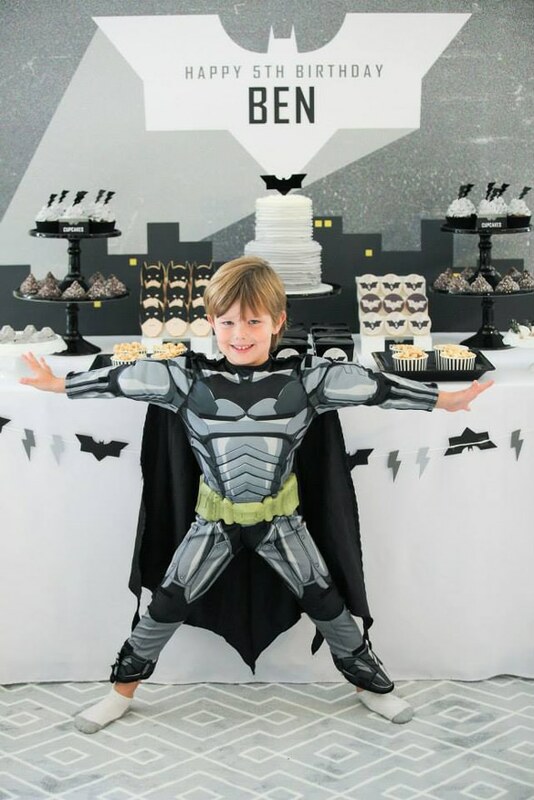 Batman cookies also made an appearance for this little super hero. They were made by Crumb. And what about that amazing bat garland?! Wow! But nothing was as big of a hit as the birthday boy’s uncle showing up to play with the Batman guests! He even smashed the piñata on his head to make the guests laugh! 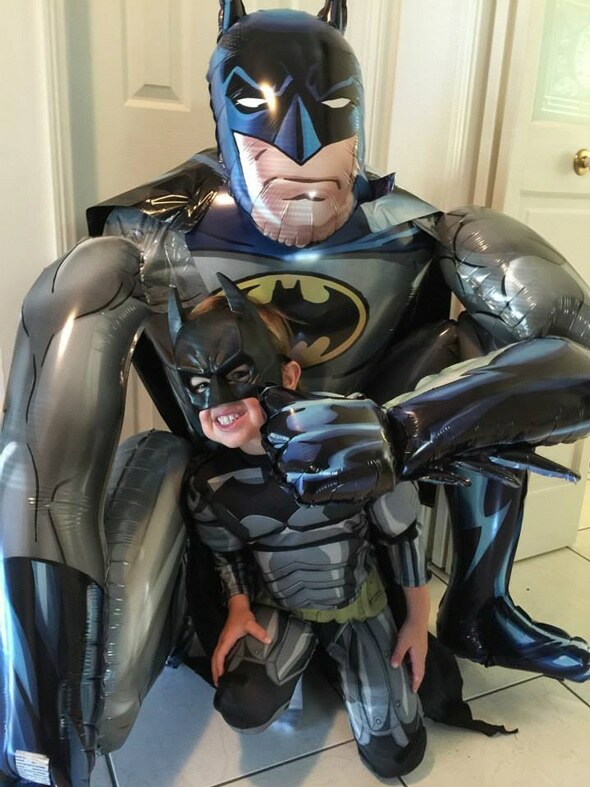 And how about this massive Batman Balloon from Lombard Party Shop?! 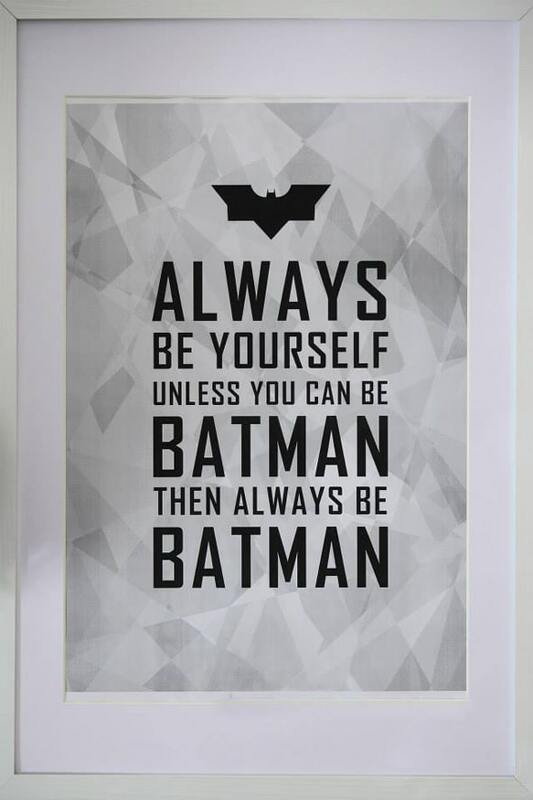 How could you not become best friends with Batman after this super hero adventure?! What great memories this little boy will have as he looks back on his big 5th birthday! 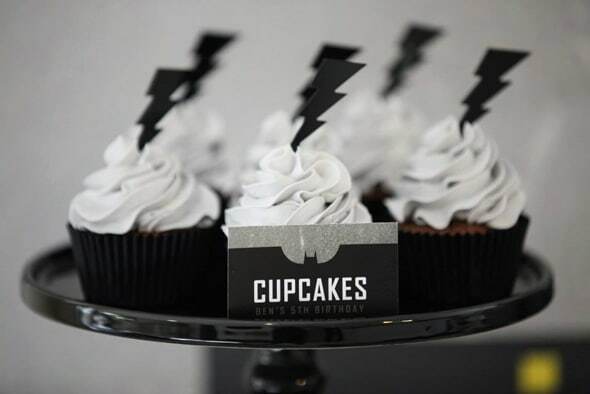 My kid really likes batman and I am thinking of throwing him a theme party – this one seems like a good idea. 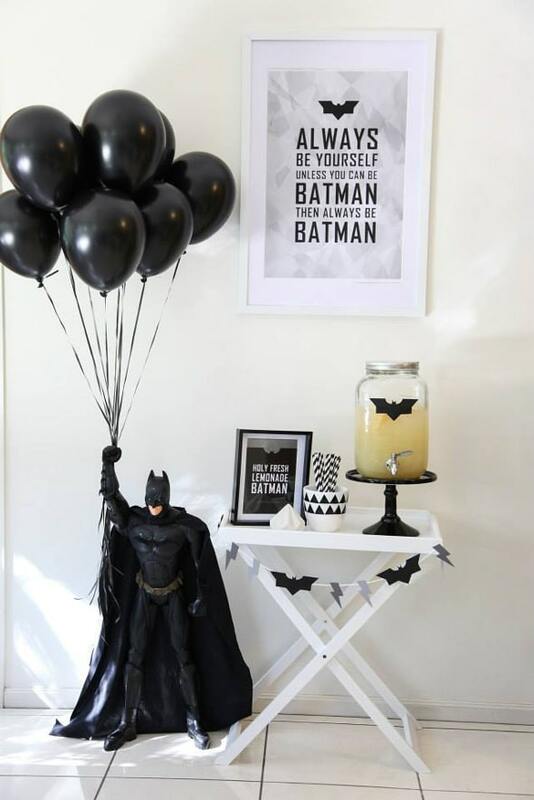 Where did this Batman figure that is holding the balloons come from? I would need a few of these. 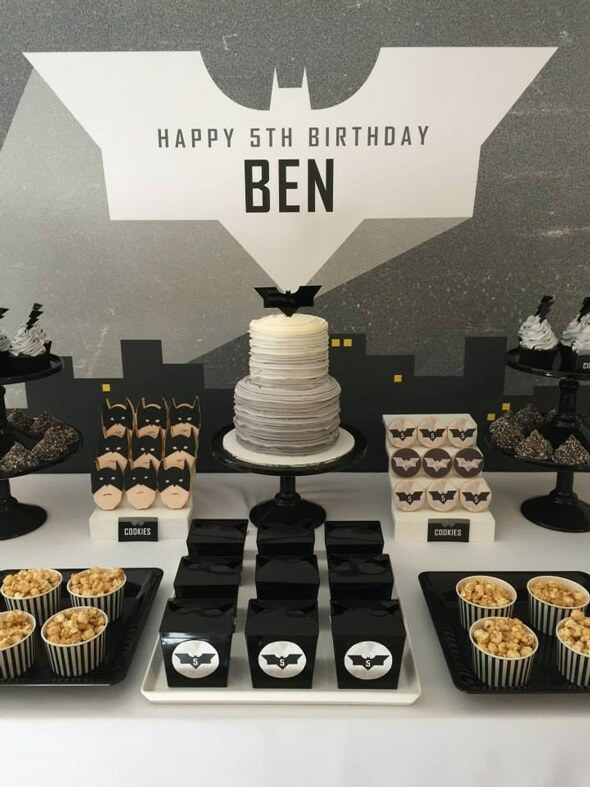 Where did you purchase the “Happy Birthday Ben” backdrop?